Highlands Housing Corporation uses USDA/Rural Development loans programs for most of our homebuyers. 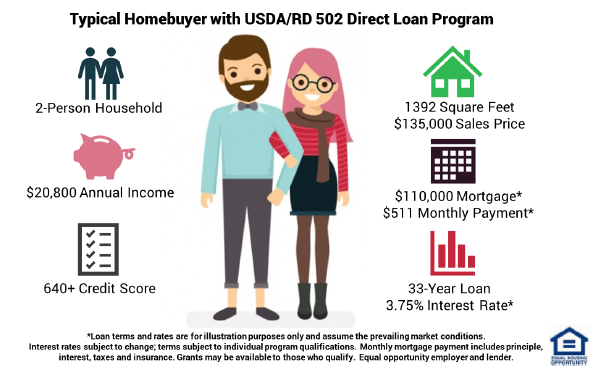 Through these programs, the USDA offers 100% financing at very low mortgage rates in rural neighborhoods. Even better is that underwriting approvals are more flexible. Applicants don’t need to meet every requirement to the last letter in order to secure loan approval. We currently serve Bell, Clinton, Cumberland, Laurel, McCreary, Pulaski, Rockcastle, Whitley and Wayne Counties. If you live outside of our service area we encourage you to find a non-profit housing organization in your area who can help make your dream of homeownership a reality. The USDA will not guarantee a mortgage for a household which exceeds its maximum income limits for a given area. This is because the USDA program’s purpose is helping those with “modest means” achieve homeownership.